Did you find a pro that you really liked? Awesome! You can add the pros you like the best to your Pro Team. Pro Teams help you build a network of preferred professionals. Pick your favorites, and reschedule with them directly in the app. 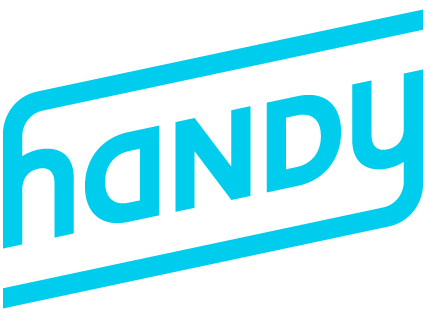 When you first start booking with Handy we'll add professionals to your Pro Team who we think you'll enjoy working with, and each time you work with a new pro we'll add them as well. If you're unhappy with someone's service, and don't want to work with them again, just let us know with your rating. If you rate 2 stars or less, we'll be blocked them from your team. You can even select a favorite pro from your team. This means they'll receive your job requests first, before we check with your other pro team members. At the bottom of the app you'll see the My Pros tab. This is for all things pro related, from messaging to pro team management. Here you'll see a full list of all the professionals on your Pro Team, your Favorite pro will be listed first. Selecting the image of a pro from your team list will take you to their profile page. Select Change to adjust their position on your Pro Team. Select Favorite Pro to move them to the top of your list! From any pro's profile you'll be able to add them as a new team member. Sit back, relax, we'll do the rest. Once you hit Update the change will be immediate. When a professional has been set as your Favorite we'll give them top priority access to all your bookings and do our best to match you again. While we'll do our best to match you up again it's at the discretion of the professional to claim your booking, since they are independent service providers.